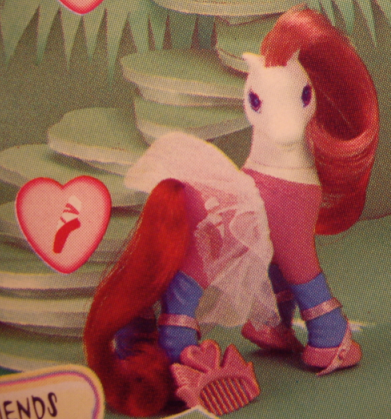 I'm always on the lookout for new information or new prototypes. 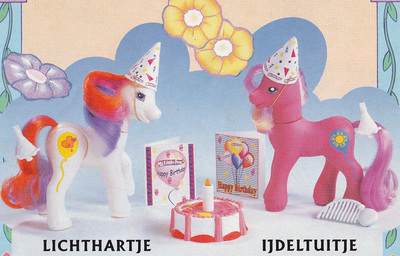 If you have any info/ pictures you wish to share, please let me know. I can add them to this page and will give you full credit. 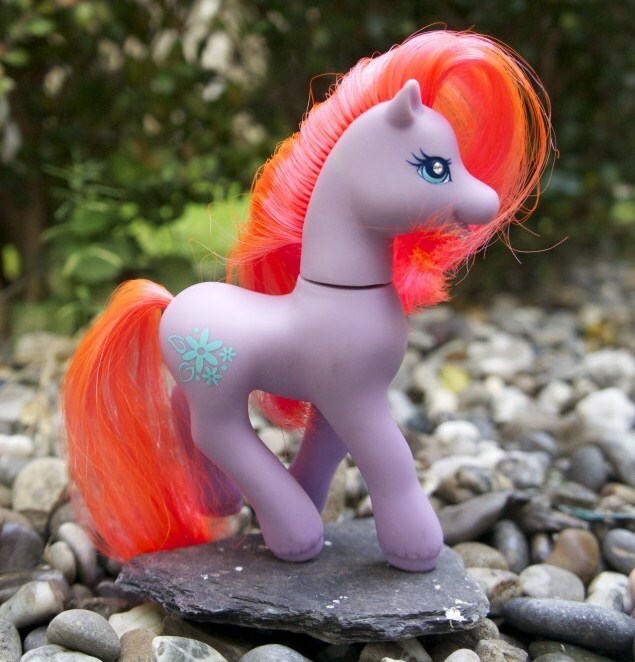 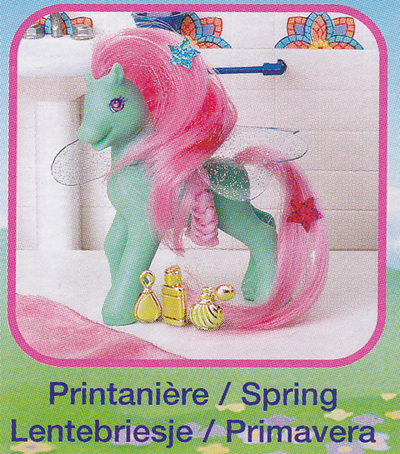 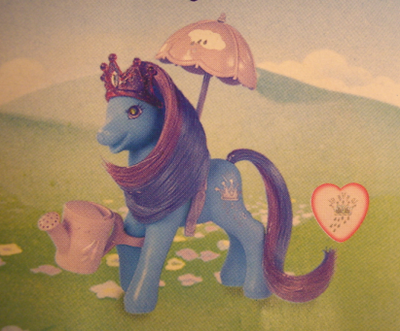 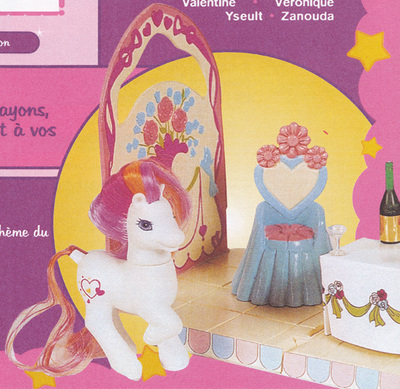 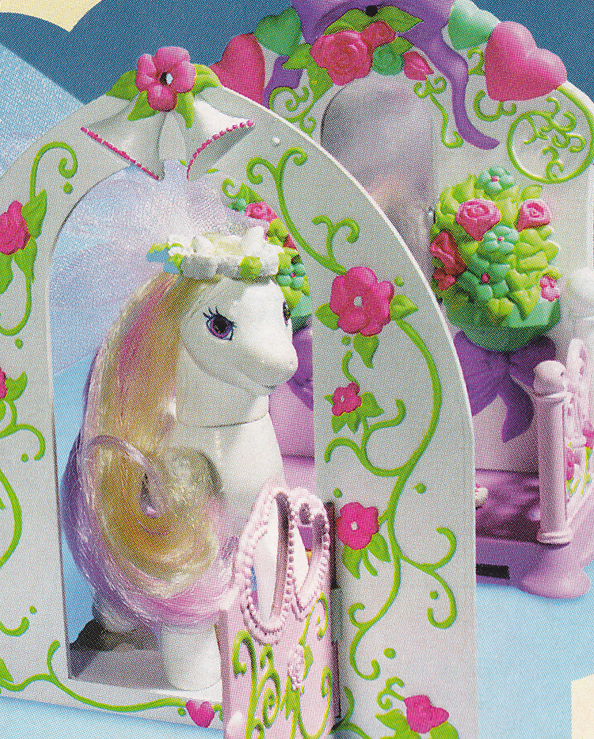 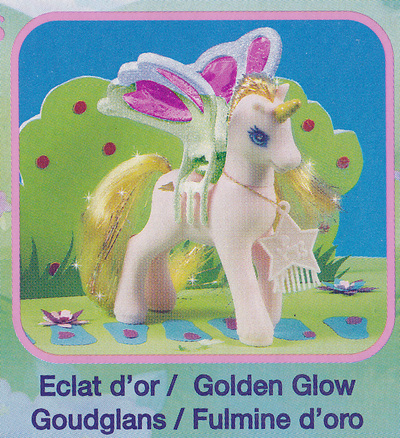 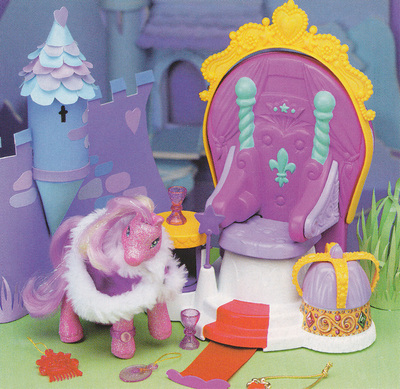 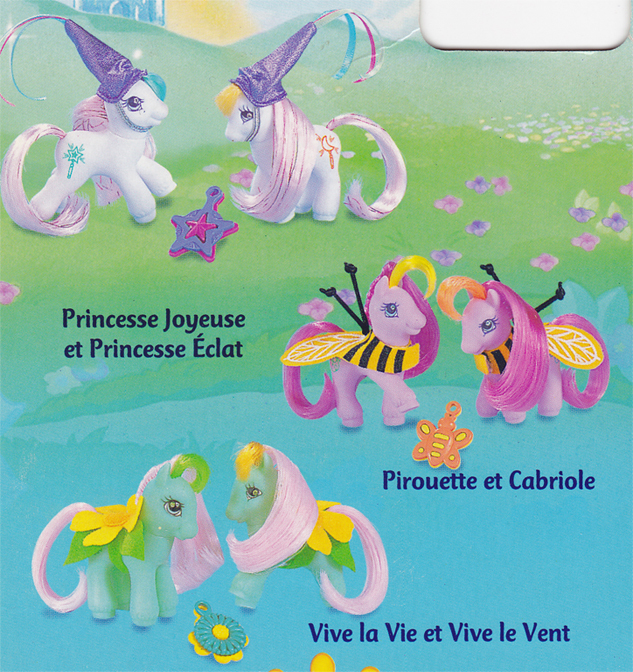 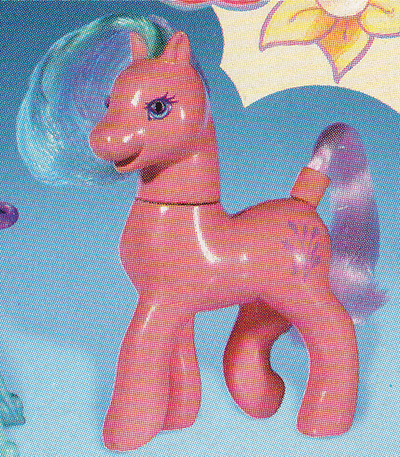 This fancy looking pony is a prototype that was shown in several booklets. 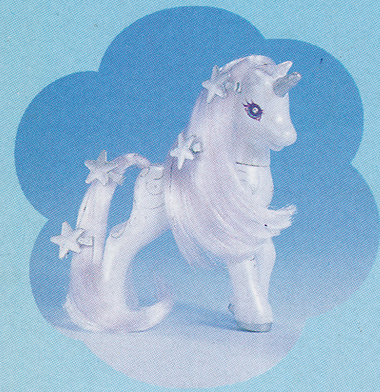 This prototype is made out of plaster. 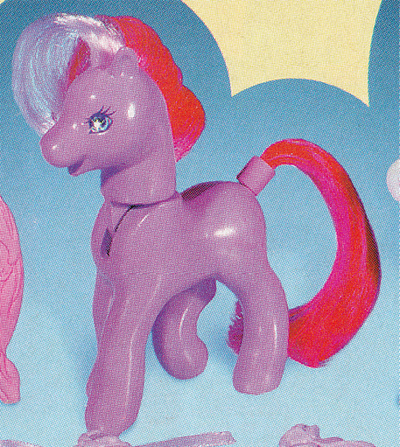 She's handpainted and doesn't even have a neckplug. 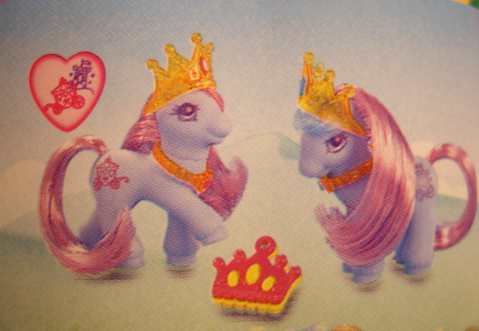 She's also bigger than her normal counterpart. 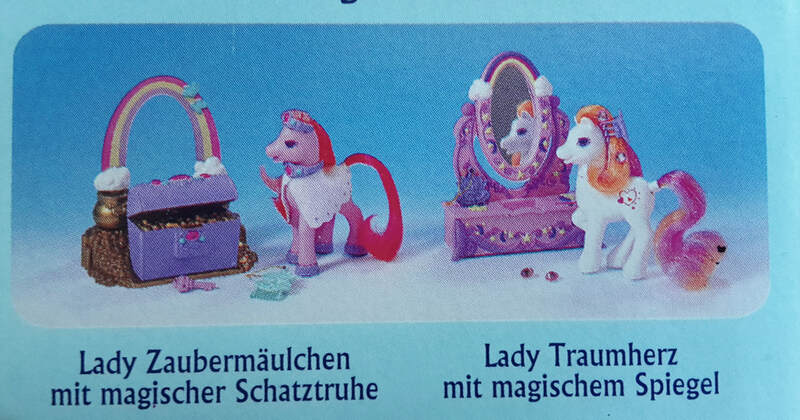 She was probably on display at toyfairs as well as used for photoshoots, like the one in the booklet (the third and fourth picture below). 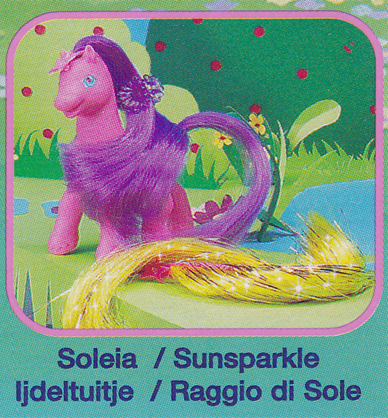 This prototype was found on a fleamarket in Italy by a friend of SoSilver. 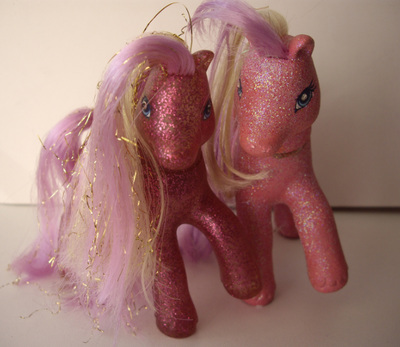 SoSilver noticed something was off about her and showed her on the forums. 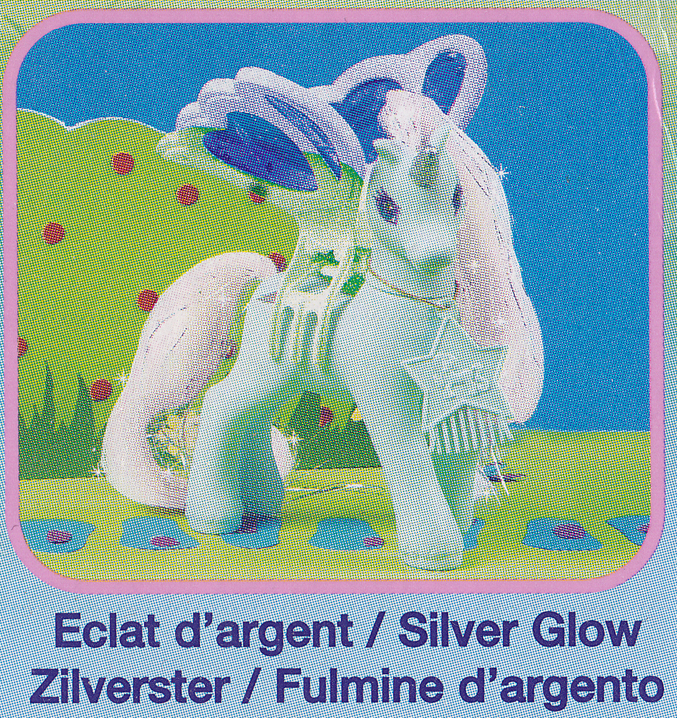 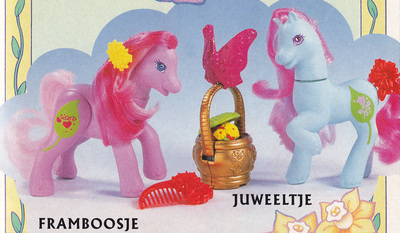 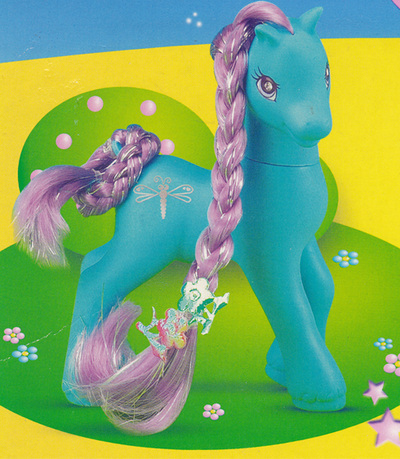 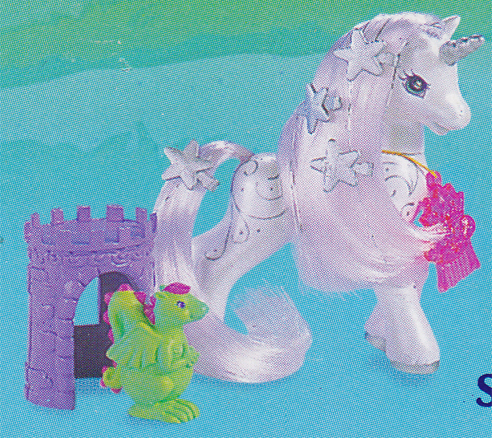 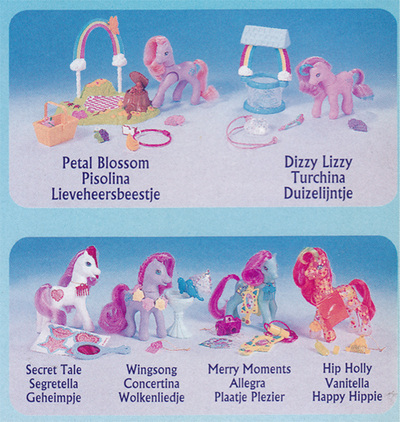 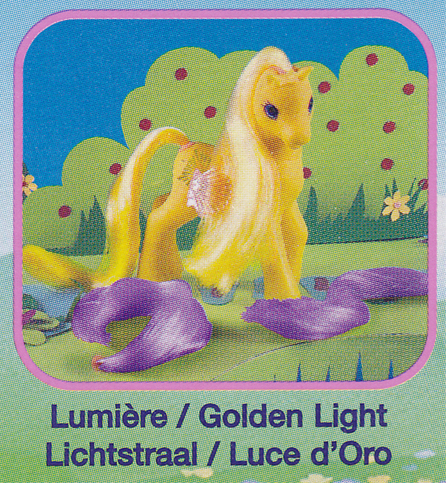 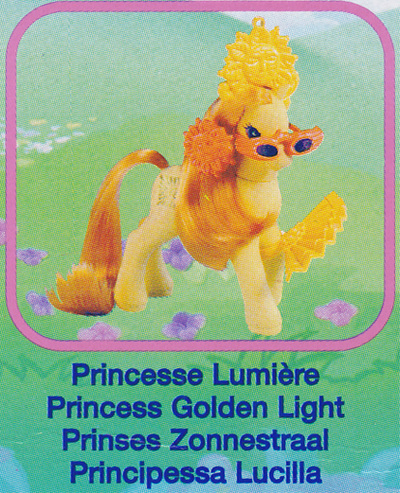 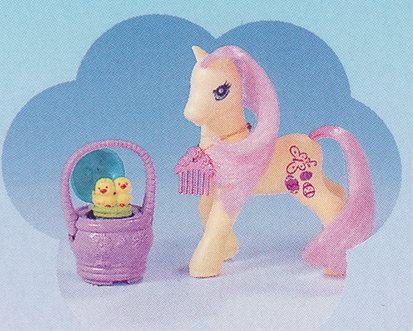 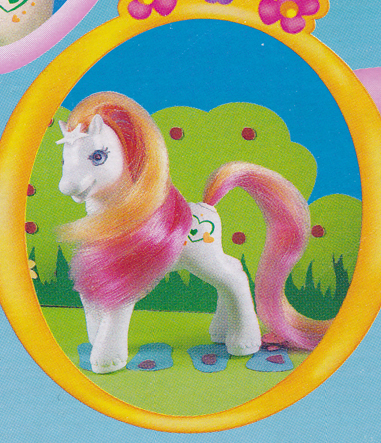 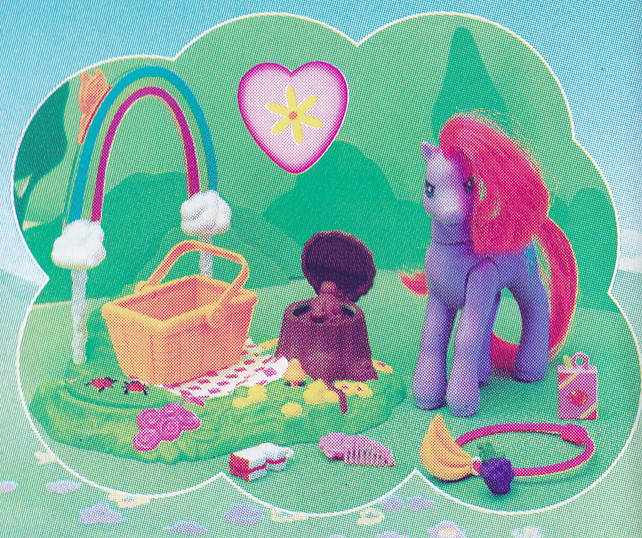 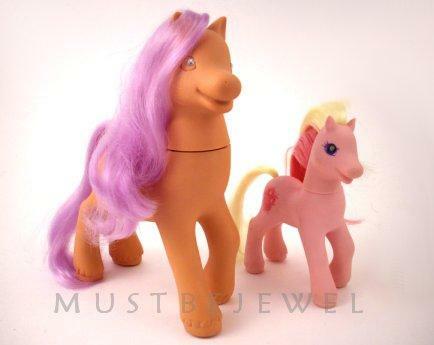 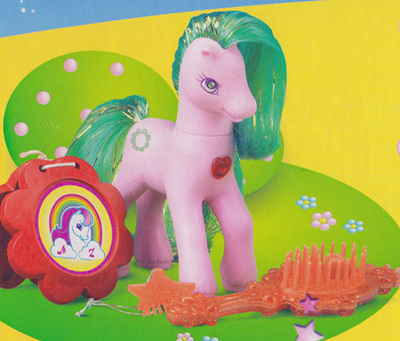 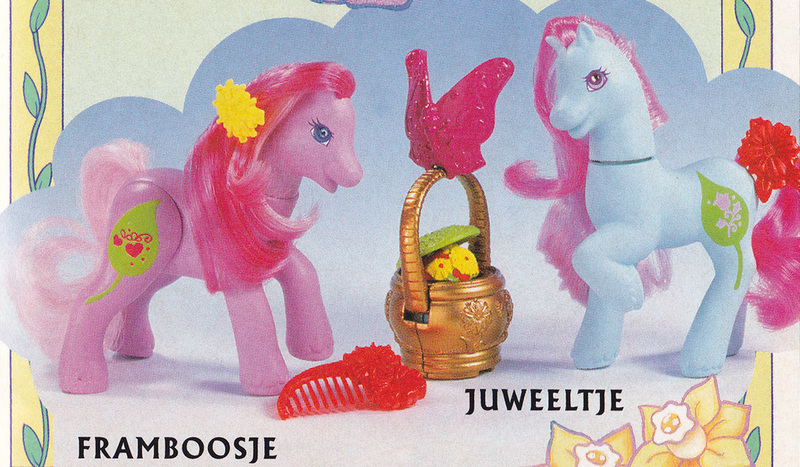 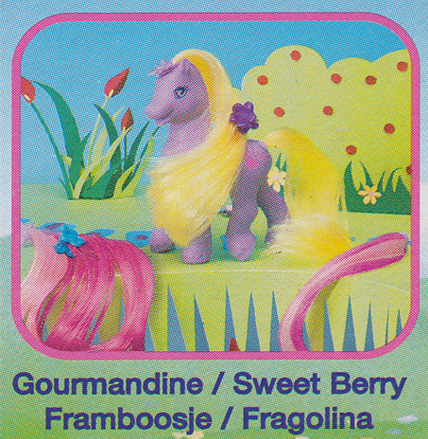 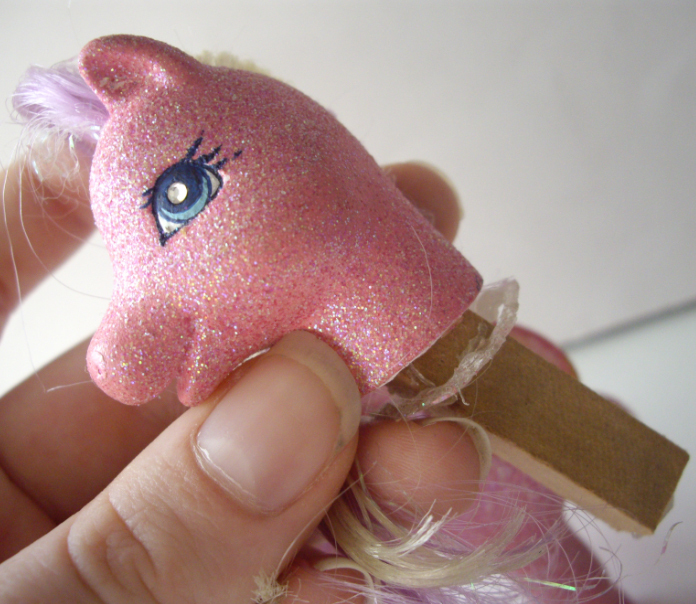 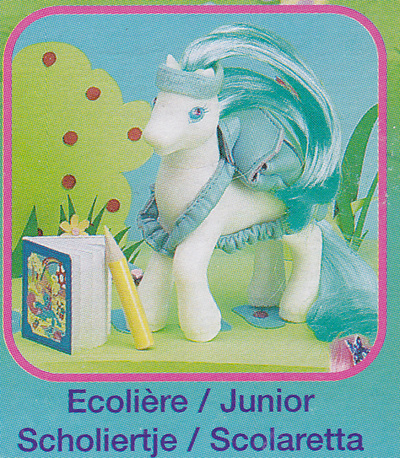 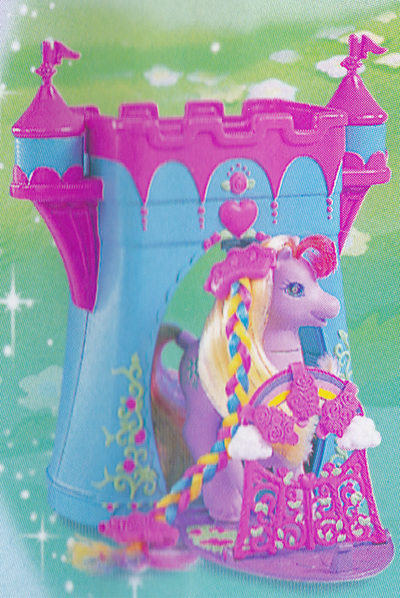 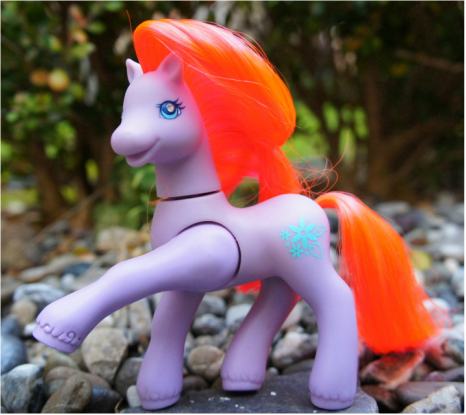 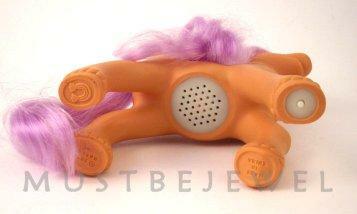 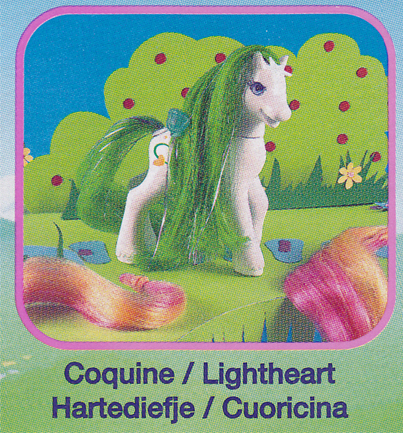 This is the pony used in booklets, before she was turned into a non-magic motion pony in 1999. 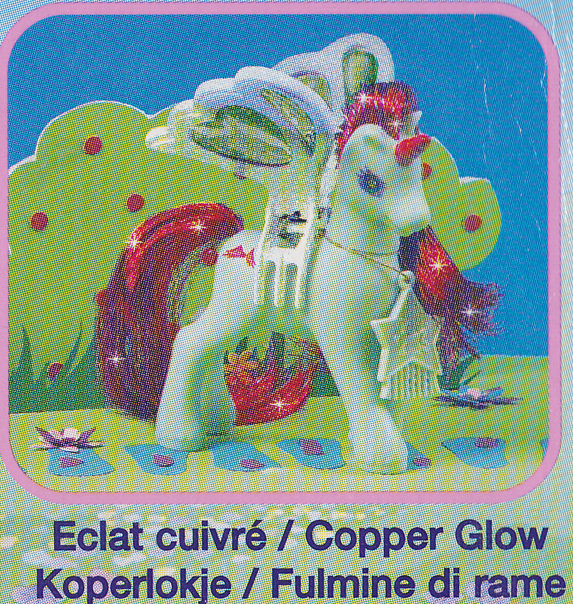 This prototype has been found in France by a collector. Her origins were unknown. 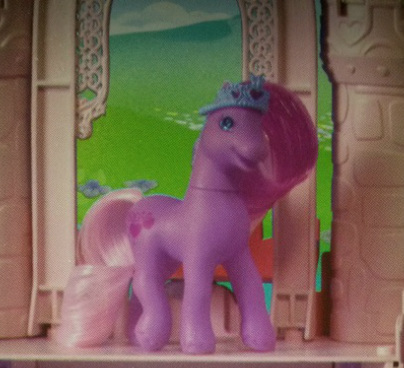 At first I believed her to be a factory error. 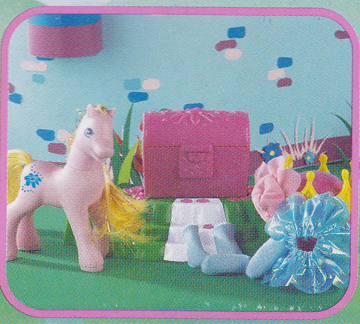 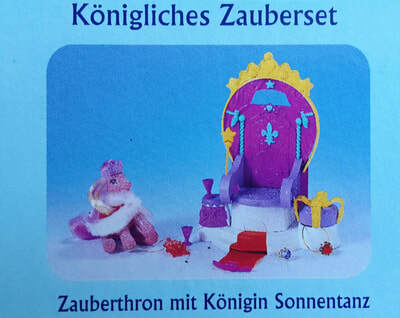 Until I got to see a toy catalog from 2001 and there she was! This prototype stands at 7" tall, compared to the normal-sized Princess Fuscia next to it which is only 4" tall. 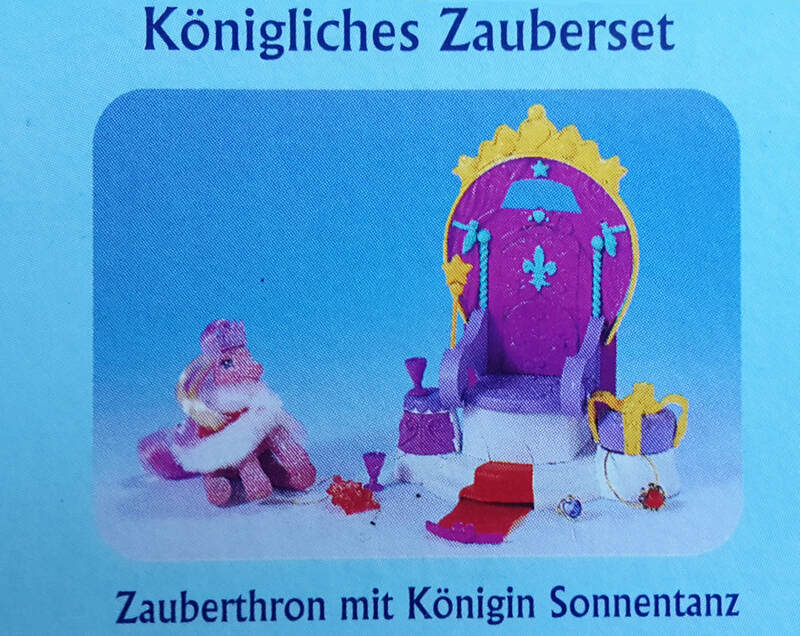 It has no painted eyes or symbols, but makes several different sounds when the button on the bottom of its foot is pressed. 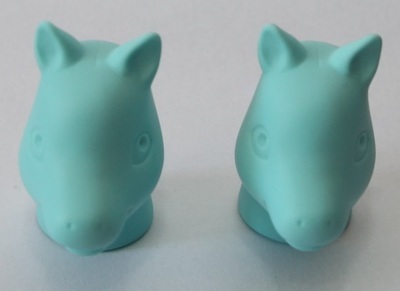 Slightly bigger than the normal g2 heads, without maneplugs. 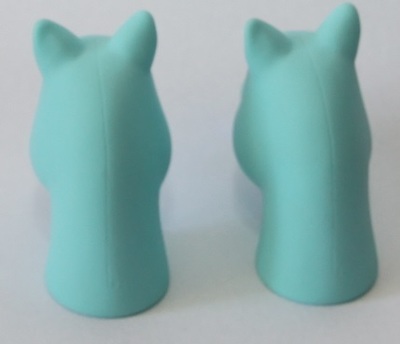 The bottom bit has little circle patterns while the normal ones have not (something the camera didn't pick up though). 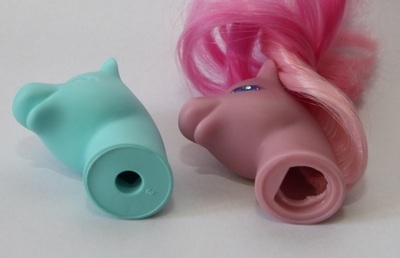 The plastic is also way softer.